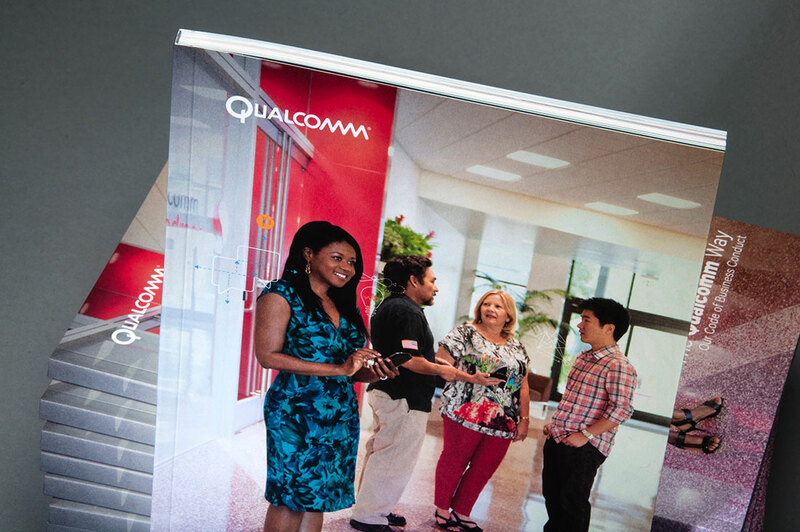 As a leader in wireless technology, with various divisions worldwide, it was important that the company’s values and employee responsibilities were effectively communicated. 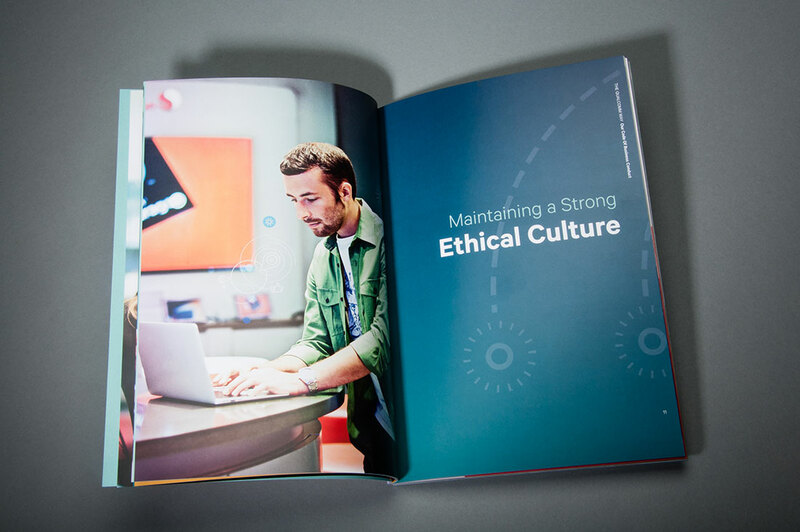 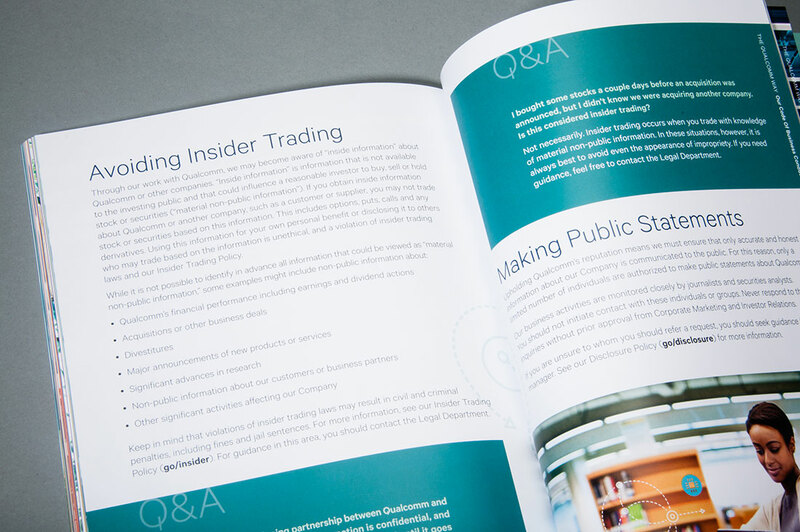 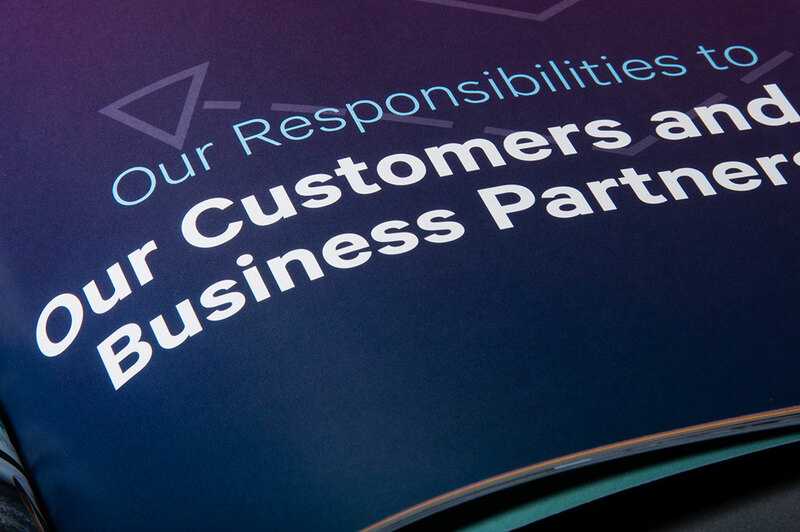 Together, Qualcomm and Neyenesch Printers were able to produce an informational and engaging code of conduct booklet to unite employee understanding. 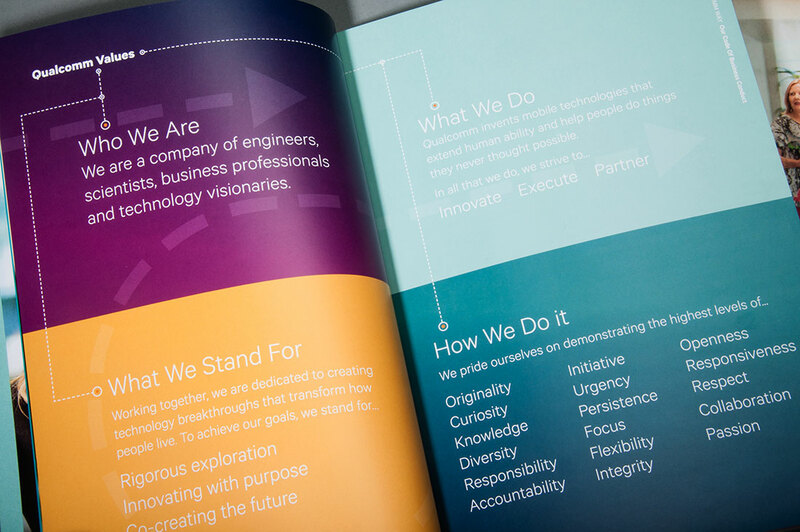 The perfect bound book featured a special color profile, which was created to match color between coated and uncoated stock. 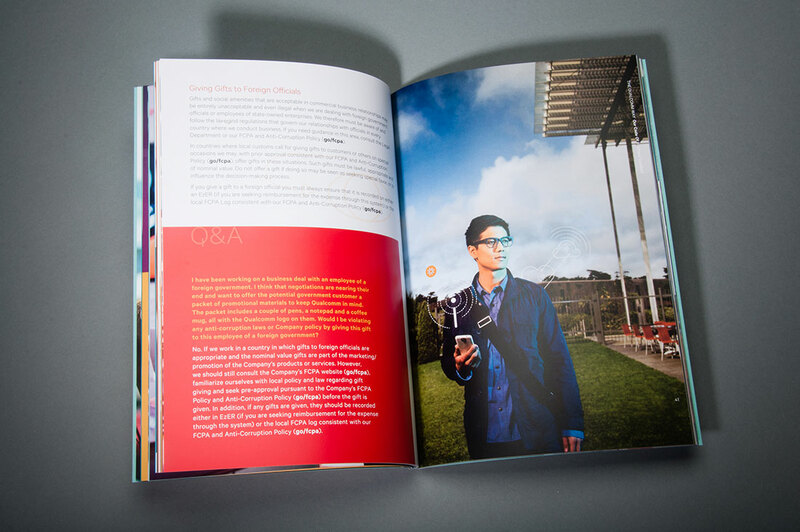 Printed in English, this book also had international multi-language versions produced digitally. 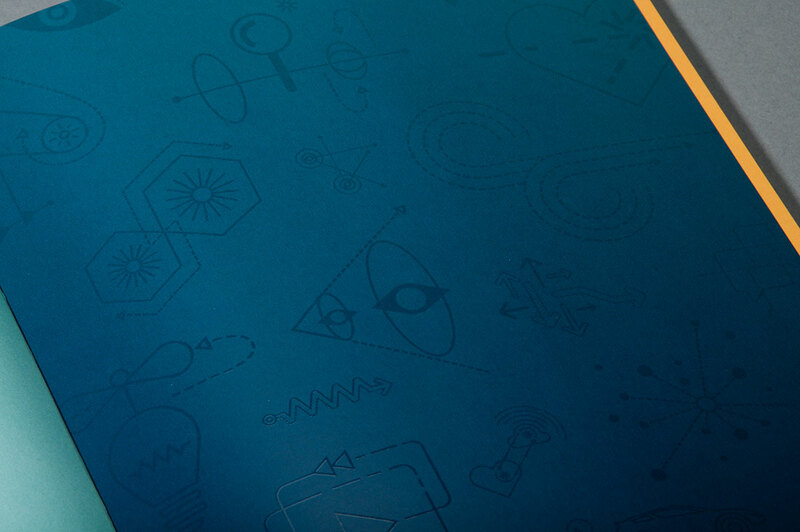 Text pages on 100# McCoy Silk Book Cover on 100# Finch Fine Smooth cover. 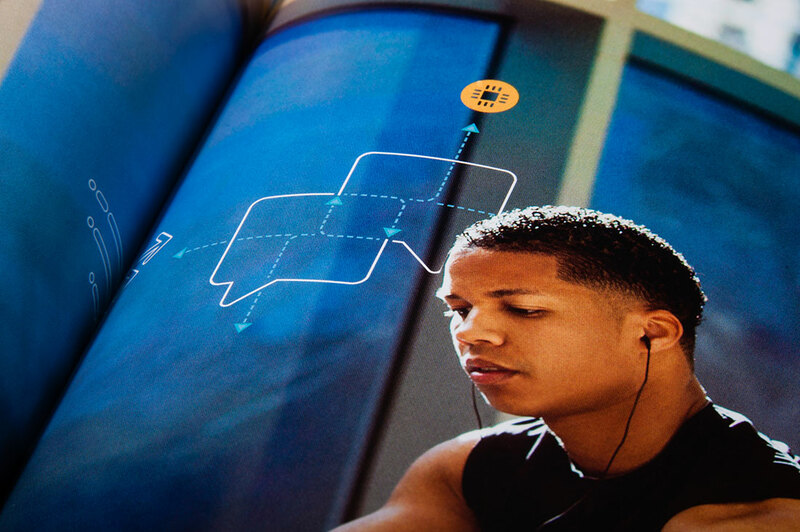 International multi-language versions produced digitally to match litho-printed English language version. 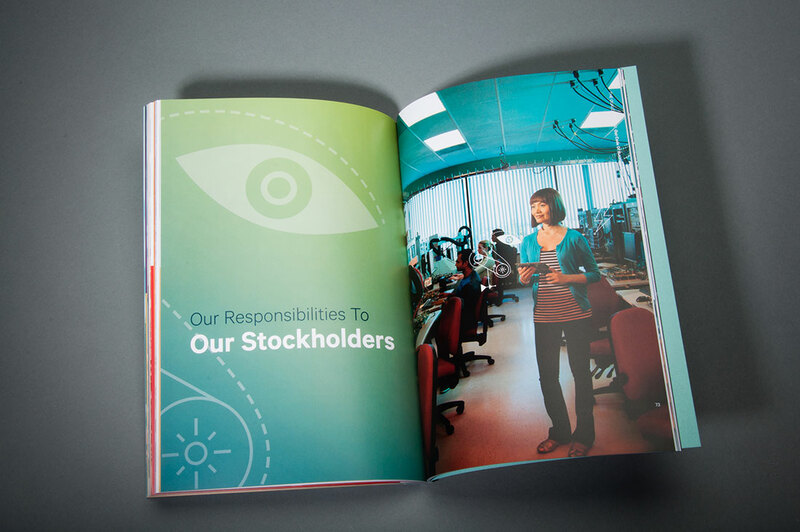 Special color profile created to match color between coated and uncoated stock.